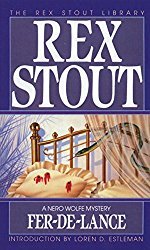 Howard Haycraft says, "Rex Stout brought to the detective story not only its keenest wit, but also exceptional literary talent.... [Stout's] plot, detection, and narration are of the highest order" (Murder for Pleasure). Fer-de-Lance (1934)	was his first work in the detective story field. 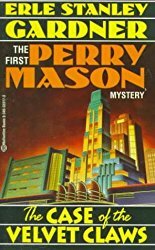 In it, he introduced Nero Wolfe and Archie Goodwin. 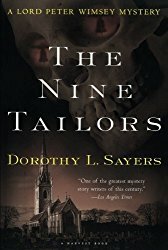 Haycraft calls Goodwin "the one example in history (in this writer's opinion) of a Watson who steals the play from his Holmes, and a first-rate Holmes to boot." Mrs. Zenith (Jones) Brown (b. 1898- ) wrote as "David Frome" and as "Leslie Ford." 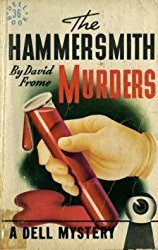 The Hammersmith Murders (1930)	was her first Pinkerton tale about the Welshman "Mr. Pinkerton," and she wrote it under the "David Frome" pseudonym. Pinkerton was "first named 'David' but now generally known as 'Evan' " (Murder for Pleasure). Bull is "Frome's" other character. "Alice Tilton" wrote Leonidas Witherall novels and Bill Shakespeare novels. Elliot Paul (b. 1891- )wrote Homer Evans murder stories. 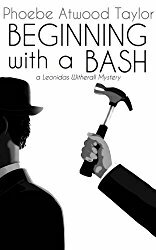 Beginning With a Bash (1937)	was the first story about Leonidas Witherall . The Cut Direct (1938)	was the second book in the series, but Witherall's American debut. 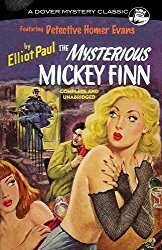 Elliot Paul wrote The Mysterious Mickey Finn (1939). Frances and Richard Lockridge wrote tales of the husband-and-wife detective team of Mr. and Mrs. North. They also wrote about Lieutenant Wiegand. Timothy Fuller wrote about Jupiter Jones. Elizabeth Dean created the Emma Marsh adventures. She also wrote Hank Fairbanks adventures. Haycraft writes, "Mixing murder and merriment is a much more serious business than it might seem" and "Members of the Hammett group are more likely to rely on the humor of dialogue: the justly famous American wise crack" (Murder for Pleasure). Jonathan Latimer wrote about Bill Crane. Frank Gruber wrote about Johnny Fletcher and Simon Lash. Daniel Mainwaring (1902), as "Geoffrey Homes," wrote about Robin Bishop and Humphrey Campbell. Rudolf Kagey (1904- ), as "Kurt Steel" wrote about Hank Hyer. Anthony Boucher writes that Kurt Steel's Judas Incorporated is a pro-union labor novel.... ("The Ethics of the Mystery Novel"). Cleve F. Adamswrote about Rex McBridge; William DuBois created Jack Jordan;George Harmon Coxe (b. 1901- ) wrote about Kent Murdock; andBrett Halliday created Michael Shayne. Raoul Whitfield,Whitman Chambers (b. 1896- ), andRaymond Chandlerwrote "tough-guy novels." Chandler developed Philip Marlowe and later became president of the Mystery Writers of America. Chandler wrote "...to get murder away from the upper classes, the week-end house party and the vicar's rose-garden, and back to the people who are really good at it" (Raymond Chandler,The Art of Murder). Mignon G. Eberhart (b. 1899- ) wrote about Nurse Sarah Keate, Susan Dare, and Lance O'Leary. "Leslie Ford" (alter ego "David Frome") wrote Colonel Primrose novels and Grace Latham novels, although Haycraft writes that the Primrose and Latham novels "can scarcely rival 'Frome's' Pinkerton tales." Dorothy Cameron Disney	-- "an open and avowed Rinehart disciple" -- wrote Death in the Back Seat (1936). Charlotte Murray Russellwrote about Jane Amanda Edwards. The Listening House (1938)	was her first manuscript. It was accepted by the Crime Club and made one of its monthly selections. 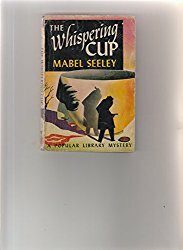 The Whispering Cup (1940), her third novel, sold to Hollywood at a substantial price. Rufus King (b. 1893- )wrote about Lieutenant Valcour. Stuart Palmer created Hildegard Withers and Oscar Piper. William Anthony Parker White (b. 1911)wrote as "Anthony Boucher" and as "H.H. Holmes." Helen Reilly (sister of John Kieran) wrote about Inspector McKee. Haycraft says she is "among the most convincing that have been composed on the premise of actual police procedure" (Murder for Pleasure). Phoebe Atwood Taylor (b. 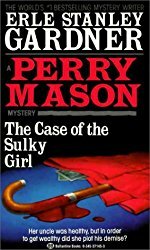 1909- ) wrote about her Cape Cod detective Asey Mayo. Elizabeth Daly wrote about Gamadge. Helen McCloy wrote about "her credible psychiatrist" Basil Willing. Clayton Rawson, who wrote about Merlini (Magic). James William MacQueen, writing as "James G. Edwards," wrote about Inspector Bondurant (Medical). "Hugh Pentecost," in Cancelled in Red (1939), exposed the philatelic racket and won the Dodd, Mead "Red Badge" award. According to Anthony Boucher's essay "The Ethics of the Mystery Novel," Hugh Pentecost's The Brass Chills presents a Communist who is intelligent and a man of good will. Cortland Fitzsimmons	wrote about sporting specialties ("when he is not writing about Ethel Thomas"). Percival Wilde (b. 1887- ) wrote Bill Parmelee stories (about card sharping). "Sue MacVeigh," "whose husband Andy combines detection with railway engineering" (Murder for Pleasure). Theadora DuBlois wrote stories about Jeffrey and Anne McNeill (medically authentic). Van Wyck Mason (b. 1877- ) wrote about Captain Hugh North. He also writes as "Geoffrey Coffin." Alexander Laing (b. 1903- ) wrote Dr. Scarlett tales.